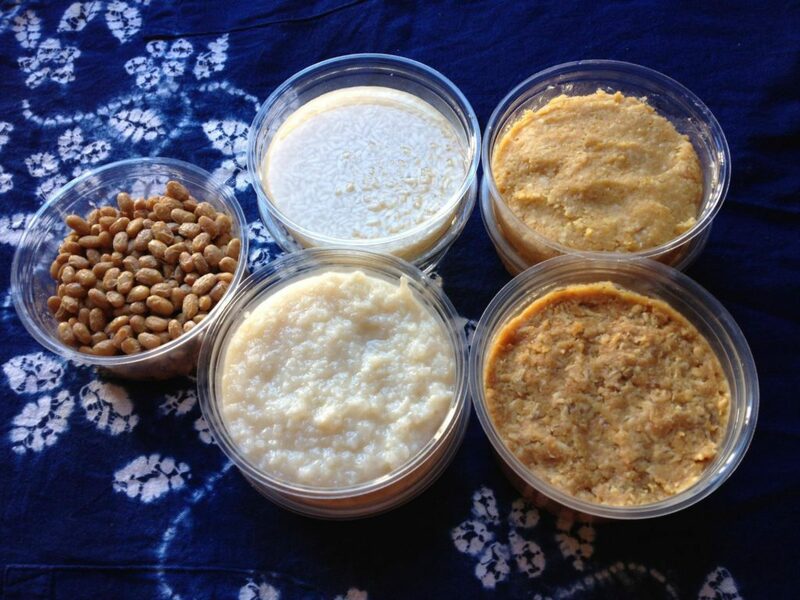 You can learn about many variety of Koji fermented products. Learn how to make 'miso', the Japanese traditional wisdom of Koji's fermentation. You can take a jar of miso (to be) home! Nourish your body and sprit with the serenity of tea ceremony. A traditional Japanese everyday practice of mindfulness and health. It takes place at the BDK America Berkeley meeting house, 2620 Warring St. Berkeley, just to the South of the Berkeley campus. minimum enrollment 5, maximum 10.
sign-up only. Please contact nogatetea@gmail.com by 9/13. 10/12/2017, Aedan's Koji products make food more delicious and healthy! 4/26/2017, Do you want to learn about "koji"? 8/19/2017, Ferry Building Farmers Market! !